Simply being mindful of sample storage conditions can have a huge impact on energy use in the lab. One ultra-low temperature freezer can consume as much energy as a single-family home every day, so anything you can do in this category will help to significantly reduce energy consumption. Ultra-low temperature (ULT) freezers set to -70°C instead of -80°C use up to 40% less energy. Check to make sure your samples can be safely stored at this temperature. A list of samples that have been stored successfully at -70°C can be found here. And publications that have addressed this topic can be downloaded here. 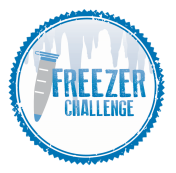 For the challenge you will receive 1 point for every ULT freezer set to -70°C or above. Many reagents and samples do not require storage at ULT temperatures. For example, consider storing DNA in a standard -20°C freezer - these freezers consume 80% less energy than ULT freezers.